In early 2017, the United States Department of Justice concluded a yearlong civil rights investigation of the Chicago Police Department. The investigation confirmed what many Chicago residents already knew—that CPD has a history of serious problems endangering the lives of both residents and police officers. That history has had terrible consequences for both police and residents. African American and Latino communities in particular have felt targeted by racially discriminatory policing, and city taxpayers have paid more than $930 million in settlements for improper police conduct. At the same time, the mistrust of police has hurt the ability of officers to do their jobs, which makes communities less safe and puts the lives of officers at risk. For the first time in Chicago’s history, there is a court order mandating broad police reform. The goal of that court order—known as a consent decree—is to put in place reforms that govern police training and policies and provide officers the support they need to implement safe and constitutional policing practices. A consent decree requiring effective, lasting reforms is the only way to begin to build trust between Chicago’s residents and police. To make sure that the police reforms mandated by a consent decree meet the needs of Chicago’s communities and police officers, it is important that all Chicago residents have an opportunity to provide comments and suggestions on the implementation of the consent decree. This website was created by the Illinois Attorney General’s Office to provide information and receive input on police reform from all interested Chicago residents during the consent decree negotiation process. Going forward, it will provide updates regarding the implementation of the consent decree. For nearly 50 years, reviews of the Chicago Police Department have identified significant failures by CPD to act lawfully and to protect and serve all Chicago residents equally and fairly. In 1973, a blue-ribbon panel found that police misconduct was directed more often at people of color. In the years since, other significant investigations have identified racially discriminatory policing practices as well as widespread police abuse. This conduct has unquestionably hit African American and Latino residents the hardest. Mistrust between Chicago’s residents and police reached a boiling point in November 2015, after a videotape was released showing the fatal shooting over a year earlier of Laquan McDonald, a 17-year-old African-American young man, by a Chicago police officer. Outcry and protests across the city followed the release of the video of McDonald’s shooting. A week later, then-U.S. Attorney General Loretta Lynch agreed to investigate the Chicago Police Department. After a yearlong investigation, the Department of Justice found that CPD had engaged in what it called a “pattern or practice” of using unreasonable force, violating the U.S. Constitution. Federal officials found that CPD failed to adequately train officers, provided insufficient support for officer safety and failed to conduct meaningful investigations into police officers’ use of force. The report also found officers were more likely to use unreasonable force against Chicago’s African American and Latino residents. To reform CPD, the Department of Justice recommended the City enter into a consent decree, which is a court enforceable reform plan. Separately, Chicago Mayor Rahm Emanuel created a Police Accountability Task Force in December 2015. The Task Force released a detailed report in April 2016 that made more than 100 recommendations for reform of the Chicago Police Department. In the spring of 2017, new U.S. Attorney General Jeff Sessions issued a statement indicating that under the Trump administration, the Department of Justice was adopting the policy that local police matters should be handled at the state and local level. As a result, the Department of Justice announced that it would not take steps to seek a consent decree to reform the Chicago Police Department. 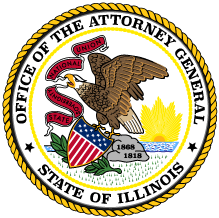 In August 2017, Illinois Attorney General Madigan filed a lawsuit against the City of Chicago to seek a consent decree that would address the findings and recommendations of the Department of Justice and the Task Force. At the time that Attorney General Madigan filed the lawsuit against the City, Mayor Emanuel and CPD Superintendent Johnson committed to work with the Attorney General to negotiate an enforceable consent decree. The Attorney General’s Office and the City of Chicago agreed that enforceable reforms are needed to permanently change the conduct of CPD, provide training and support officers need and build trust between Chicago’s residents and their police department. In agreeing to negotiate, the Attorney General’s Office and the City of Chicago recognized that the best way to ensure lasting change is to obtain a consent decree—a court order that is enforced by a federal judge. As part of the process of drafting a consent decree, the Attorney General’s Office worked with community organizations throughout Chicago in March and April 2018 to obtain feedback from Chicagoans on reform of CPD. The Attorney General’s Office and community organizations held 14 Consent Decree Community Roundtables (to view a list of the roundtables, click here) in neighborhoods around the City to ensure that all interested Chicago residents had a meaningful opportunity to provide input on police reform. The Attorney General’s Office and the City then reviewed and considered all of the community input. To review the report that summarizes the input received from Chicago residents, click here. In addition, the Attorney General’s Office sought and obtained input on reform of the Chicago Police Department from CPD officers through 13 focus groups. The Attorney General’s Office and the City also reviewed and considered this input as part of the process of drafting the consent decree. To review the report that summarizes the input received during these focus groups, click here. After months of negotiations, the Attorney General’s Office and the City of Chicago announced a draft consent decree on July 27, 2018. The Attorney General’s Office posted the draft consent decree and invited Chicagoans to offer their input. The Attorney General’s Office and the City carefully reviewed the nearly 1,700 comments received, and negotiated changes to the consent decree based on the comments. The Attorney General’s Office and the City then filed the revised consent decree in federal court on September 13, 2018. The federal judge overseeing the case accepted written comments on the draft consent decree and held public hearings on October 24 and 25, 2018. The judge approved the consent decree on January 31, 2019. A consent decree is a detailed plan of police reforms that is approved by and enforced by a federal judge. Because it is enforced by a federal judge, a consent decree can set a high bar for police accountability and the protection of civil rights. It will also help ensure that Chicago police officers get the training resources and support police officers need to perform their jobs professionally and safely, because the requirements of the consent decree simply will not be satisfied without them. a federal judge who oversees compliance with the requirements of the consent decree and holds the City of Chicago accountable. The court ultimately will determine whether the City and CPD are meeting and maintaining the requirements of the consent decree. To assist the federal judge in evaluating the City’s and CPD’s actions and progress toward implementing reforms, the consent decree requires the selection and appointment by the court of an independent monitor. Following an extensive selection process, the court appointed Maggie Hickey and her team as the independent monitor to help oversee implementation of the consent decree. Hickey and her monitoring team will evaluate and issue public reports on whether the city and CPD are meeting the requirements of the consent decree. For more information on the independent monitor, click here. The court also appointed the Honorable David H. Coar (ret.) as a special master to help facilitate dialogue and assist the Attorney General’s Office, the City, and other stakeholders in resolving issues that could delay progress toward implementation of the consent decree.